We have written previously about the S-FIVE project (see here and here). 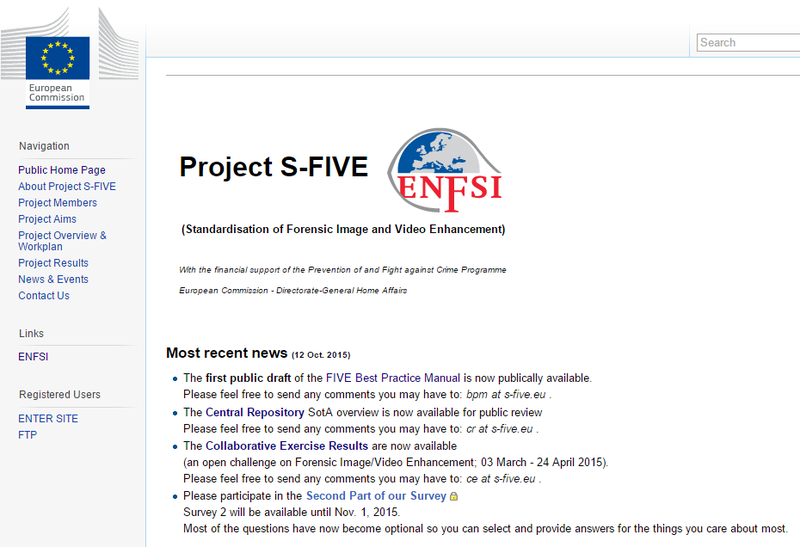 In a nutshell, it is a project directed by the ENFSI–DIWG (European Network of Forensic Science Institutes – Digital Imaging Working Group), funded by the European Commission, which aims to define and standardize procedures for forensics video enhancement. 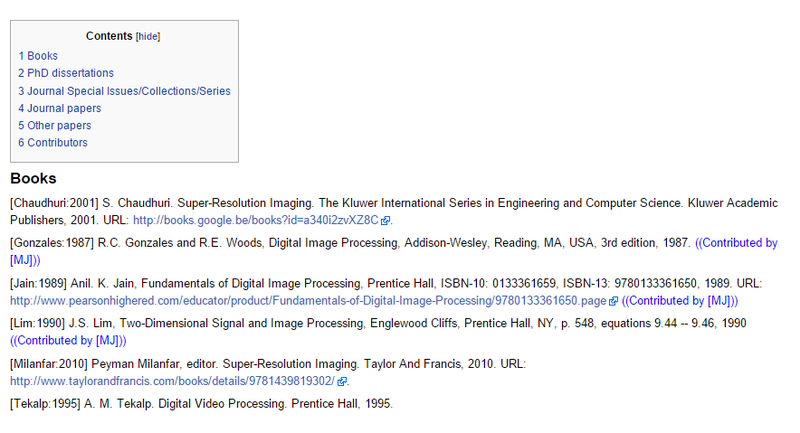 First of all they released the first draft of the FIVE Best Practice Manual, which is currently open for review. Since the actual BPM is rather high level and formal, I think even more importantly from a practical point of view will be the BPM supplement which will be published later. The second announcement was the publication of the Central Repository, a very useful collection of links, resources, tools and scientific papers, important to everybody who works in the field of forensic video analysis. 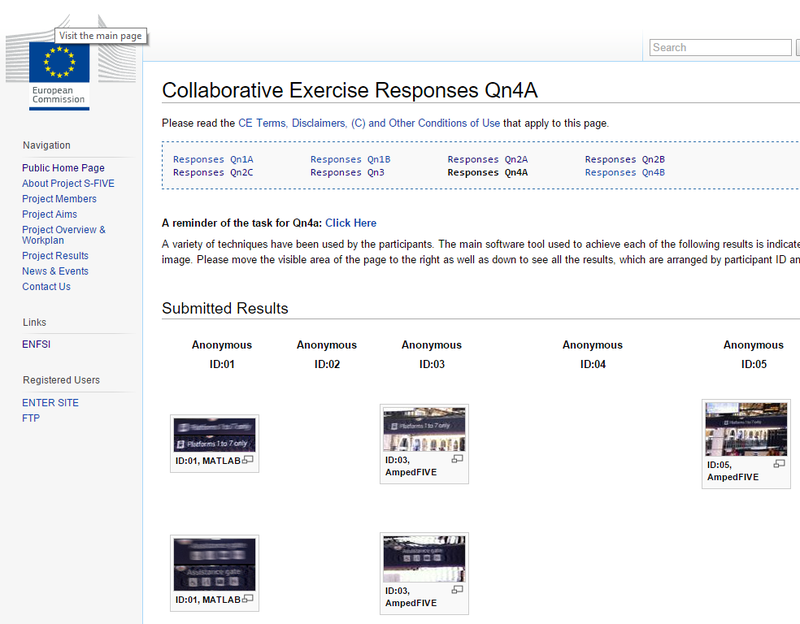 Last, but not least, the results of the Collaborative Exercise are now available. You can compare the results obtained on a shared dataset, the results obtained by different experts with different software and techniques. The images included in this post are snapshots of the publicly available S-FIVE pages, taken on October, 14th 2015. P.S. If you haven’t done it yet, be sure to complete the second part of the survey! This entry was posted in Announcements, Events on October 14, 2015 by Martino Jerian.